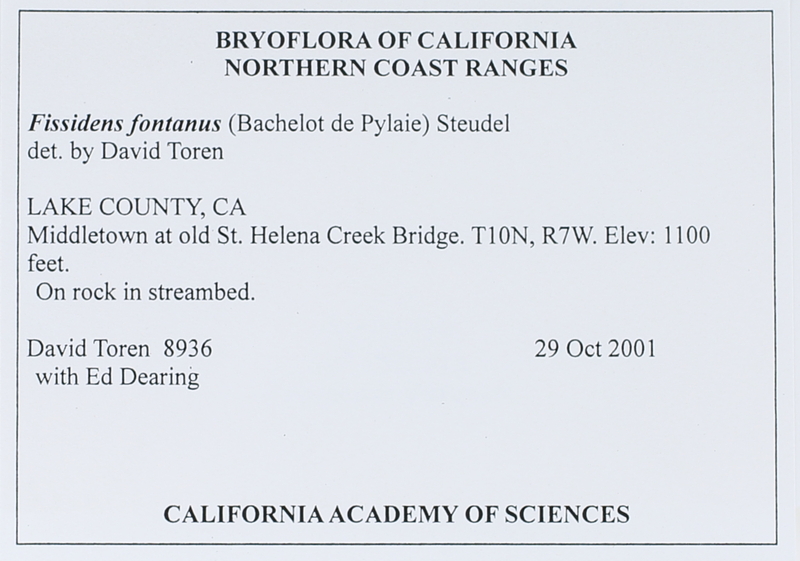 Locality: United States, California, Lake, NORTHERN COAST RANGES. Middletown at old St. Helena Creek Bridge. T10N, R7W. Substrate: On rock in streambed.